Eco-Friendly Eyewear: See a Greener Planet! Looking for Eco-Friendly Wedding Invitations? Getting ready to do a fabulous new look in your sitting room, kitchen or the whole house? Fashion conscious homes are important to many, but often times, designers are more about the 'new' things they can bring in rather than the things they can recycle. One eco-designer, Kelly LaPlante, is all about taking used items and recreating them into functional and beautiful pieces. The great thing - when all the pieces come together, the finished look is stylish, luxurious and beautiful. In With the Old Featured in the January 2009 issue of Los Angeles Magazine, Kelly LaPlante was called the 'Green Queen' for her ingenious use of older items to create modern and stylish new looks. She truly enjoys showing clients how to go green in a way that still allows them to be fashionable and trendy. 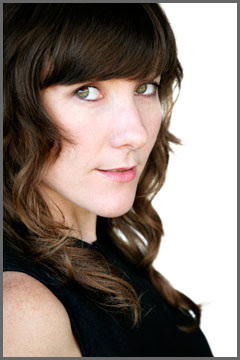 For instance, one thing Kelly is fond of is purchasing vintage elements. She recommends that individuals check out shops that sell vintage doorknobs, chandeliers and art - as well as eco-shops that focus on purely green items for the home. 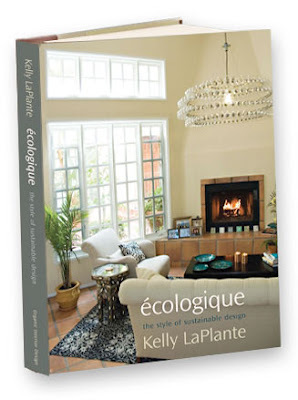 See for Yourself Kelly's book, 'ecologique: The Style of Sustainable Design' features 160 pages of breathtaking photos of Kelly's designs. The goal is to show individuals that going green in design doesn't mean they have to compromise one stitch of style or luxury in their homes. 100% of the proceeds from the book are donated to Global Green USA and The Blank Theater Company. Released in 2008, the book plainly shows that recycling gorgeous items and using vintage elements within your home is the way to go when it comes to design. The book is printed on acid free paper with soy-based ink. Hats off to Kelly LaPlante, a fabulous decorating diva who is dedicated to showing individuals that being eco-conscious can be the same as being fashion-conscious! Photos are Courtesy of and Property of www.OrganicInteriorDesign.com. Great Article! We are trying to make our house an Eco House and came across the website Eco Designer who do all things environmentally friendly for your home. Go check them out!